When faced with the question of what is good and effective teaching, my definition has not changed since the conversation we had during our first class together, in fact, since then, my opinion has only become stronger. What I believe it means to be a good and effective teacher, is to be really know and have a respectful relationship with your students throughout the teaching process. What I mean by this, is that it is important to really get to know each and one of your students. By doing so, the teacher is at an advantage for the best ways to teach that individual, and the best way to really make that individual understand what you are trying to teach. By having a level of respect between yourself and your students, you place yourself in the best possible position to teach your students; your students don’t dread coming to class, they want to hear what you have to say, they value your instruction. When reviewing the Standards for Teacher Development, this course has helped me prepare specifically for item number 7. Item number 7 states that Teachers are able to plan different kinds of lessons. The reason this jumps out to me specifically is because Professor Weber has done an extraordinary job of setting examples for this. To teach a class that is over 2.5 hours long is tough to do. I have experienced one other class, besides this one, that I have had for 2.5 hours long and I DREADED it. However, this is one class that I never once dreaded coming to. Professor Weber did such an amazing job differing the lessons throughout the course of 2.5 hours. By incorporating videos, class discussion, group discussion and activies, and presentations, Professor Weber always kept the interest of the class. Also, something I have learned very specifically in regards to different kinds of lessons, is the Backwards Design lesson template. This was something entirely new to me, and to have the experience to try it out was a great experience to have. The most significant thing I have learned this semester that will help prepare myself for my future career is the element of having a continuous open mind while in the classroom. As a teacher, you will come across new experiences everyday. Among the different students in your classroom and the unexpected journeys they take you on. From lessons not going as planned, to the students acting unplanned. I have learned that it is crucial to have an open mind, and no expectations as a teacher, and to have the ability to go with the flow and spontaneously follow where your students may lead the discussion, or assignment. In terms of how I will prepare my online digital identity and materials for the job market, there are many steps I will be taking upon graduation. First of many being, to define my digital identity as professional. Being aware of what I post, and sorting out some items that may be not be deemed as professional. I plan to continue my online blog, using it as a place to share my incites in relation to my future career. I have also started my own google website, that I haven’t been on in a while; however, it is something that I do plan to update, and continually update throughout my schooling and career. In entirety of this semester, I have gained an abundance of information, touching on a variety of topics. A topic that I found to be especially intriguing to myself is the topic of Learner Diversity. When faced with the idea of ‘learner diversity’ there are a number of different directions it can be taken. Many, along with myself, might initially jump to the idea of diversity among different cultures and ethnicities in the classroom. The other direction the topic takes is the diversity among children of the many different ways a student learns. Regardless of how one thinks of learner diversity, as a teacher, all aspects are crucial to have a level of understanding for. Looking first into the branch of differences surrounded in the classroom in regards to cultures and ethnicity. This is something that I was not faced with attending school as a child. It wasn’t like I was completely oblivious of it, I was aware of the many different cultures and ethnicities…however, the only thing my brain really connected these things to was skin color. I had not a single classmate that wasn’t ‘white’ until I was in high school. And even then, I only had one oriental classmate, one Black-American, less than five Mexicans and 2 Indians in my graduating class. Did I mention I graduated in a class of over 600? When I came to college, I was placed face to face with many different cultures and ethnicities surrounding me. Although, at first, this was a bit of a culture shock for myself, I am very grateful because of this. Research has shown that having a more diverse classroom actually fortifies the classroom environment. As stated in the article, Racial and Ethnic Diversity in the Classroom: Does It Promote Student Learning, “A classroom that does not have a significant representation from members of different races produces an impoverished discussion”. This is very similar to what Woolfolk talks about in the course textbook, Educational Psychology, where it is mentioned that “Culture embraces the whole way of life of a group of people”. Both readings suggesting that diversity is crucial for a successful classroom in today’s society. Moving on to the diversity among students in the classroom in regards to the way they learn. Although it may not be entirely obvious, but there are many, many, different learners present in the classroom. Some more clear than others. The spectrum of learning diversity is very wide. From a communication disorder or emotional and behavioral disorder, to ADHD, to the many forms of autism. Most schools today have a special education division, where students who are unable to appropriately participate in a general classroom attend. Recent research has suggested that including these students in the general classroom is beneficial, and with the rates of learning disabilities rising, this is becoming more and more the reality of todays classrooms. According to ClinicalKey, about 11% of children alone have been diagnosed with ADHD. Although there is frequent controversy on the subject, it is evident that there is a rise in the disorder. Along with this, autism is also on the rise. With autism being the fastest-growing developmental disability (prevalence among children in the US having risen 119.4% between 2000-2010), it is of extreme significance that as a teacher to have awareness and understanding of this disease. This goes further than ADHD and autism, it is important for a teacher to be aware of the many different learning disabilities that one will come across in their classroom. I’d like to bring the attention now to the video we watched in Module 6: Unequal Childhoods-Annette Lareau. (I am unable to attach the video directly to this blog, too big maybe?). This video shows an interview with Annette Lareau and Dalton Conley. Annete Lareau speaks about the research she conducted about the lives of children in different child rearing regimes, for the poor/working class households in the US as well as middle class households in the US. The differences she found were astonishing. This, I relate back to diversity in the classroom when considering the different socioeconomic levels. Lareau found that in a middle class family, parents “view their children as a project, as seeking and developing their talents and skills”, they took part in talking with their teachers, and scheduling doctors appointments, they intervened. Where as poor/working class parents “provided their children with scarce resources, providing food and shelter to keep their children healthy and safe, and then by doing so they presumed that their children would then spontaneously grow and thrive”. The differences among the different socioeconomic classes are evident. This is something, that as a teacher you need to be aware of, and understand the best ways to deal with the situation. I think that, if anything, walking away from this course having gained the knowledge of these 3 principles is noteworthy. Technology impacts teaching and learning in many ways. Some even think that it has completely taken over the role of the teacher (as read in the article I chose to read in the K12 Horizon Report). I thought the idea of technology changing the role of the teacher from being the leader of the classroom, to now only being the facilitator of the classroom, with technology being the leader, was a bit of a stretch at first, but the more I read into in the more it began to make sense to me. Technology is used so much in classes now, that seldom does a teacher come across a school day -let alone class period, where one doesn’t use technology to aid in their lesson. Technology is used so much, that yes, I believe it is a distraction to students. 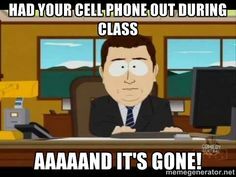 It is so normal now to have a cell phone out in class, that I feel as though many teachers have given up the ‘no cell phone’ battle. This I have experienced throughout my last few years of school. I think back to middle school, when cell phones became a popular thing among the younger generations, my middle school teachers had absolutely no tolerance for them. If they saw them, they’d take them! When high school came around, and the smart phone became the new popular item, some teachers started to just ignore them. It was then, about my senior year, and definitely my freshman year in college where that all changed completely. Technology, smart phones and laptops in this case, where used every single day. This turns my attention towards laptops. Laptops I believe are the main distractor. Reasoning being, because a student can have their laptop flipped open, and with the screen faced away from the teacher, that student could be watching Netflix during class for all the teacher knows. On an ending note, it is really ironic, because when I first realized that I wanted to be a teacher, right around when I was in middle school, I swore that I would never use technology in my classroom. At that age, I saw how big of a distraction it was for myself and my peers. Much has changed since then, and it is safe to say that I most definitely will be using technology in my classroom. During my future career, I intend to use many ways of both intrinsic and extrinsic motivation techniques hand in hand with different assessment techniques and goals and objectives. I feel as though each of these work together. Using different assessment techniques, such as formative and summative assessment, will in part, motivate the students. In experience, I have concluded that receiving a grade is a pretty large motivator for students. Other things, such as being motivated to complete a tough assignment to be able to watch the movie related to it, and have a movie and popcorn day after the project is completed, I believe is also a great way to motivate students. These would both be examples of extrinsic motivation. In my future classroom I will also encourage intrinsic motivation. This is something that not all students will experience, or show directly during class. Motivation that you find within yourself, providing one with a sense of completion and not that they have failed because they couldn’t finish the assignment, is a very strong sense of motivation. In my future classroom, I plan to make goals and objectives clear, and to consistently update them as needed. This will give the students an idea of direction, and what kind of personal goals and motivation will be needed to meet the overall goals and objectives. Also, I believe that using different methods of assessment in the classroom will keep students on their toes, and always interested and motivated to do good; not that I just always have a formal multiple choice test at the end of each lesson. Using classroom design principles, such as the Backward Design, can effectively design instruction in a more clear way. The Backward Design has a unique way of forcing the teacher to start at the root of the lesson. To first, and foremost, figure out what the teacher would like the students to gain from said lesson. From that point the teacher will then decide what is needed to reach the objectives, and how to reach them. This design is helpful not only to the teacher, but also to the students. Such frameworks, like the Backward Design, make it very clear what the goal is and how the students are going to reach it. I have posted above, the lesson plan that I have been working on. Throughout this lesson plan, I have very carefully followed the Backward Design framework. I found it a bit challenging, just because it is such a new way of thinking and creating a lesson plan. I found a few things to be especially challenging. As most lesson plans seem to be, I felt as though I was extremely repetitive throughout the entire plan. I had troubles coming up with the key criteria, along with determining the difference between the established goals and understandings, as well as what the student will know and what the student will be able to do. I did my best to fill out all of these things initially, before moving on to the rest of the lesson plan. I realized that after distinguishing all of the things I had just mentioned, that the rest was a breeze! Overall, I feel as though the Backwards Design framework helped in designing the lesson, and it is something I will definitely use in my future career. When looking into the different views of learning there are 2 very evident perspectives: behaviorist and cognitive, both of which have many differences from one another. The behaviorist perspective of learning involves studying primarily the behavior of individuals. It involves the way a person reacts to certain stimuli. The Cognitive perspective of learning focuses directly on the brain. It involves looking into a person’s thought processes and figuring out why and how a person is learning. However, there are limitations on both of these perspectives. The Cognitive theory specifically, refers to processes that we cannot directly observe, it is heavily subjective. Another limitation is that the cognitive perspective of learning ignores all other factors that affect a person’s behavior and thought processes. On the other hand, though, the behaviorist perspective has limitations also! Such as, this theory is said to be one-dimensional, in the way that it does not account for other types of learning that occur without reinforcement or punishment. Although both of these perspectives have their limitations, they are still important to apply -especially when applying them hand in hand, together. I believe that the two theories work with each other. For one to fully understand the different ways a child learns, they must look directly into the science of their brain, BUT also into their different behaviors. It is then, that I believe a teacher will be qualified to teach his/her students. With that being said, my beliefs reside in both of the different perspectives, and not only as a teacher, but as a student and a fellow peer. To understand one’s behaviors and how to manipulate them (by reinforcement and punishment) only goes so far, you must also look into the science of their brain and take into consideration the way they process the information they receive. Thus, I see myself applying these theories in my future classroom, to decide on which lessons I believe are appropriate and effective, and which are not. I will incorporate such games and activities that involve different forms of reinforcement to further my students knowledge on the information I am teaching them, but I will also enforce critical thinking processes as well as problem solving when discussing with the class how we found an answer to a said problem. In terms of my future career, I expect to encounter differences among the students I will be teaching in terms of the different cultures they will represent in my classroom. After just these few short weeks of this semester, not only in this specific course, but in my other Education Foundation courses as well (Education in a Pluralistic Society, and Introduction to Education and Teaching) I have been made aware of the many different cultures; cultures that, I will admit, have never been made aware of to me before. And to openly admit that is very hard for me because it makes me feel disappointed in myself for being so oblivious to my surroundings. Growing up, even though in school these cultures weren’t necessarily all around me, I was faced with them in other ways; shopping at the mall, in dance classes, even while grocery shopping with my Mom. And all awhile I ignored it. With that being said, in my classrooms I will be sure to address the issue, because it is something that I, now, wish my teachers would have done for me. 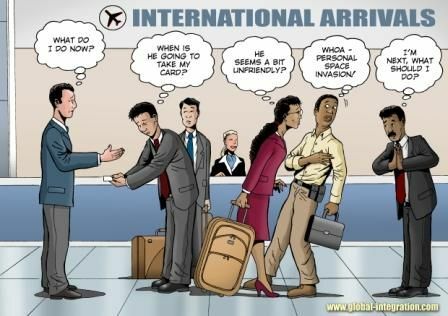 In my future career I plan to identify the different cultures, even the ones that aren’t represented in the classroom. I will explain their values, and traditions and the differences among them all. It is in doing so that I will plan for the differences that may appear in my class. One difference specifically, may be the differences among skin tone. I have never personally been challenged with this difference, but someone very close to me has had to encounter it. My sister, who just recently graduated from UWW with an Elementary Education major, was utterly shocked when going into her first teaching position. With the school being in the north side of Milwaukee, my sister walked into a bit of a culture shock. She had to first handedly deal with the differences among skin tone, and this was actually the first time I ever heard about this. Stories she’d tell me about the children forming groups as a result of their skin tone, not allowing a ‘dark skin’ to be in the group the same group as a ‘light skin’. According to my sister, these children would actually get into physical fights about the matter. This is something I thought of and related to right away when beginning to watch the “Girl Like Me” video. As stated above, I wish that somewhere along the way of growing up that somebody would have taught me about these differences. Sure, it would have maybe been a little uncomfortable at the time, but it is what the reality of todays society is and we need to make our students be aware of this. Being aware of differences like such will put a stop to children, and even adults, thinking he/she is weird because their hair isn’t smooth, or he/she is weird because they have a bigger nose, or even he/she is weird because they wear longer skirts than I do. When the reality is that in each of these differences, the person you are referring to probably thinks you are weird because your lips are too small and your hair is too flat. In my opinion, everyone is different, or in other terms, weird, in their own ways. We all come from different backgrounds and different cultures and there is no right or wrong because of it. When being asked the question of ‘how does one develop and construct knowledge?’ I think of many possible answers- as shown in the many different theories (ie: Piaget, Vygotsky). To me, this is an ambiguous question because every one develops and constructs knowledge in different ways, throughout different stages of their lives. But going on to the next question, ‘how do developmental characteristics impact teaching and learning?’, pose more direct answers. When I think about teaching and learning one of the first things I think of is the many ways to do both of those things- more specifically, how everyone teaches/learns best in different ways. One way to determine the best ways to teach and to think of the best way your students might learn, is to look at their developmental characteristics and to determine what stage of development that particular student may be in, and then to go from there to better your teaching towards that specific student. The easiest way to determine a students specific developmental characteristics is to first, examine; study the way the student goes about doing things, how they think, and the processes they take in doing so. If a student is still in the stage of “hands on thinking” (specific to Piaget’s Concrete-Operational Stage) then it wouldn’t make sense to teach that child by constructing them with mental tasks (specific to Piaget’s Formal Operations Stage). It is also important, and crucial, to understand that not all people make it to the formal operations stage of which they have more abstract thinking with many combinations of variables. Moving on, when I think of something as specific as the roles of parents and their impact on my life, one thing comes to mind immediately and that is the two very different parenting styles my Mom and Dad both had. My parents where not divorced, I grew up in a house with the two of them together my whole childhood; now, that doesn’t mean that I didn’t experience constant fighting or arguments between my parents. And what I think caused most of these fights and arguments between my parents were the two very different parenting styles they had. My dad was more authoritarian than my mom was. He expected a lot of me most times, expecting me to be mature and to always make the right choices. Punishments where high and there where many strict rules, with his reasoning being “because I said so”. He didn’t show me affection, though I know he loves me very much. But, what this lead to was feelings of guilt; that I wasn’t good enough for him, or that I could never make him happy. Now, my Mom on the other side, was more permissive. She showed affection often, didn’t have many rules, and didn’t have many expectations (other than me doing well in school). The difference between my two parents was very tough to deal with because as a child, I’m sure you could decide which parent I tended to go to (yes, my Mom) however, my Dad always had the final say in things, and that is exactly what caused my parents to fight and argue all the time- it was me. Or at least that is how I felt at the time. When speaking about research and practice in education there is a clear relationship. When something is researched it is usually something that is also practiced (or, having been practiced because of research) – something that is performed that some one wants to know more about. I think that the way research and practice should work together to inform one another is through the simple idea that when one performs research, it should involve practice (an experiment) within the field of the research that is being done. For example, if I am researching the topic of whether or not daily lectures are affective towards students’ grades I would start by creating an experiment and it is during this experiment that I would include my practice. This practice would include constructing a lesson plan with a strict lecture and seeing the results that I get of students knowledge (based off of a test or something) and then continue with the opposite; constructing a lesson plan with more active learning, and seeing the results I get on that end of the spectrum. It is through research that practice occurs – and through practice that mistakes and/or success occurs, and therefor, knowledge gained. When I think about homework, I want to rip my hair out. In deeper depths, when I think about homework back in grade school (k-12), I felt as though it was absolutely pointless, a waste of my time. However, it is a little different now. A few years ago when I was in high school I had the same classes every day, for the same amount of time. It was during those classes that most, if not all of my learning happened. I felt as though the homework that my teachers issued me at the time was just to say that we had homework! It was not entirely irrelevant, but definitely not nearly as informative as class time was. Now, today, being in college, I say things a different now. I don’t meet for the same classes every day, and their not always the same amount of time. This makes homework crucial to my learning experience during college! Not saying that I don’t learn much during the lectures, but it is through during homework on my own time that I take part in the topics taught to me. After looking at an article found on EBSOhost about Students’ Study Time and Their “Homework Problem” I begin to think about the stress involved with homework (referring back to my initial statement, thinking about homework makes me want to rip my hair out). According to the article, homework takes part in the stress teens face, but not the main source. The article suggests however that “homework may be perceived as excessive”. When looking at a different article, studying the effects on math and science grades correlated with time spent on homework, shows that homework does in fact effect the grades! Students who spent about an hour/night on homework received higher grades on average when compared to students who spend very little time each night on homework. But, not only that! Their research also shows that these students spending about an hour/night on homework received higher grades on average than the students spending 2+ hours/night on homework, suggesting that too much homework is having the opposite effect. These findings were especially interesting to me because I know that I spend at least 2 hours/night on homework! Maltese, A. a., Tai, R. r., & Xitao Fan3, x. (2012). When is Homework Worth the Time? Evaluating the Association Between Homework and Achievement in High School Science and Math. High School Journal, 96(1), 52-72. Hi there! 🙂 My name is Katie and I am a sophomore at UW-Whitewater with an English Education major in hopes of one day becoming a high school english teacher! I started my college experience at UW-River Falls with a Pre-Veterinary major with an equine emphasis. After deciding that a Pre-Vet major wasn’t for me and that I missed home, I chose to transfer to Whitewater for the remainder of my freshman year. I originally came to Whitewater with a Biology Education major but after realizing that a Biology Education major wasn’t for me either, I changed my major again, and came up with an English Education major. How I got to this decision was first realizing that I want to teach. The next choice I had to make was whether or not I wanted to teach younger children (Primary Education) or adolescents (Secondary Education); as much as I love younger children, I came to the decision of going down the secondary education path. What lead me to this was because I am astonished by all of the different ways that adolescents and young adults view the world. Two different people could be reading the same book but by the end of it have read two totally different stories- and that is what lead me to the English department. Although grammar is not a strong suit of mine, I do thoroughly enjoy writing and reading. The different ways people express themselves through their writing intrigues me. There is one individual that comes to mind that has influenced me throughout all of this thought processing, and that is my senior year AP Environmental teacher. She has inspired me in the way of emphasizing doing whatever makes you happy, and that if you don’t know whatever that is right now that it is okay. She shared personal stories of her own that really opened up my mind to all the possibilities there are in the world. She would constantly remind me to not get frustrated with all of the wrong doings in the world today, but to instead put that anger and frustration to good use and to try and make a difference- but also that there are many things that you cannot change. Pictured here is my APES class, to the far left is the woman who has influenced me so much. As discussed in class, what makes a good teacher to me is a friendly and personable teacher. A good teacher is one that brings factors from outside of the classroom (‘the real world’) into the classroom. A good teacher is one who incorporates humor and activities into their daily lesson to keep the class feeling lively. These are all things that my AP environmental science teacher did and all factors that I hope to include in myself when I am a teacher.